Devon Cricket’s Community Coaches had a busy 2017/18 academic year. 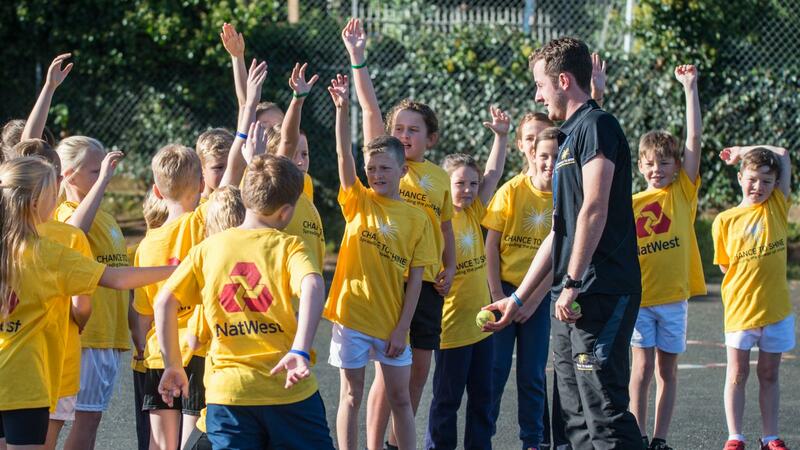 Funding from Chance to Shine (the National Cricket Charity) and the England and Wales Cricket Board (ECB) was used to enable over 2000 hours of cricket to be delivered in over 125 state primary schools across the County. In the east, Sophie Whitlock covered schools from Axminster to Tiverton, and Littleham to Uffculme. Alex Jopling hit the road in the west of the County travelling as far afield as Drake Primary (Plymouth), Boasley Cross (Okehampton) and Stowford (Ivybridge). Meanwhile Andy Buzza roamed from Exminster to Ashburton to Totnes in his patch in the south. The coaches delivered Assemblies to raise the profile of cricket in the schools spreading the “Spirit of Cricket” message and ran cricket sessions for all age groups from reception to year 6. They were supported by great new resources from Chance to Shine and worked with the class teachers to help them feel more confident running cric ket on their own. More than 120 primary school teachers in the County signed up to the online Chance to Shine portal providing them with access to free lesson plans and resources to bring cricket into the classroom as well as the playground. Added to this, in excess of 200 teachers received face-to-face training on running cricket activities and games in their schools. Kwik Cricket festivals continued in the north, south, east and west of the County with separate competitions for boys and girls culminating in County and Regional Finals days. Events were hosted by South Devon CC, Plympton CC, North Devon CC, Ottery St Mary CC, and Bovey Tracey CC. Further to all of this, the Community Coaches were busy delivering All Stars Cricket Assemblies to help support the 54 clubs running the programme. Having over 1400 5-8 year olds signed up to All Stars is testament to their hard work in partnership with host clubs. For secondary schools, Devon Cricket continued to support 8-a-side soft ball competitions at U13 and U15 level. These were entered by mo re than 30 schools. During the winter, these indoor competitions culminated in County Finals held at Exeter University, whilst the outdoor summer finals were held at Exmouth CC, South Dartmoor Community College and St Lukes Sports College. The School Games Organiser network play a key part in organising local competitions to feed these County Finals. Tweaks to the traditional ESCA (English Schools Cricket Association) and Rotary competitions saw a change to the T20 format for all age groups (U12, U13, U14, U15). 27 state and public schools entered these competitions, the finals of which were hosted by Exeter School, Shebbear College, West Buckland and Blundells. Further changes for 2019 will see more opportunities for state schools with the addition of plate competitions for those knocked out early on.